Velodyne wasn’t thinking small when they created their new vTrue Studio headphones, a top-of-the-line headset designed for those who love their bass loud and their headphones large. Massive and original, the vTrue Studio was designed in the same vein as other headphones introduced by the company. 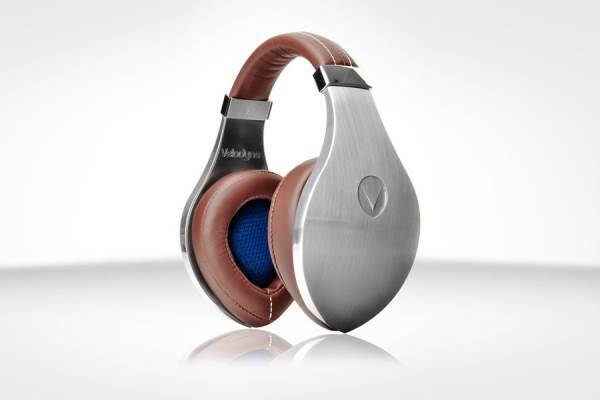 The use of leather and forged aluminum lends these headphones a certain look of pride. The company, recognized for the quality of its bass, remains true to form (the headphones deliver a 10 Hz to 20 kHz frequency response). Audiophiles who are looking for a more pure sound rather than a big, flashy bass sound would undoubtedly prefer to look elsewhere. The vTrue Studio ($399) is accessorized with two removable cables (one of them with an integrated microphone), a 6.3 mm adapter (1/4” plug) and a carrying pouch.